Helping introduce a brand and open up a new beverage category. What does it take to successfully enter the $950 billion non-alcoholic beverage market? A great product to start with, but the makers of JoeFroyo recognized that their product, great as it is, was just the start. So they came to Echo-Factory for everything else they’d need to present their drinks to distributors, retailers and the lactose-free gluten-free, caffeine-infused, protein-rich and probiotic-loving public. We started, as we so often do, with research that lead to a strategy for reaching the demographic who would love JoeFroyo the most. 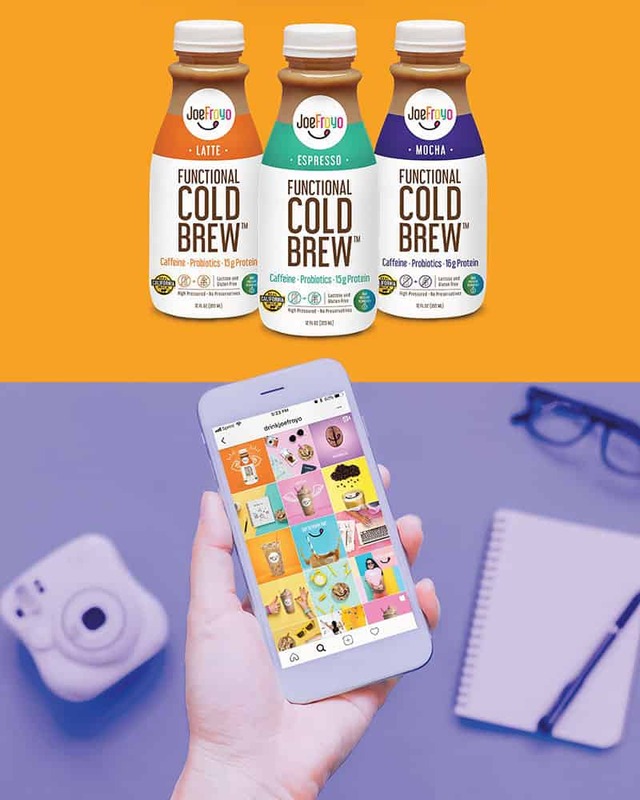 Then, we figured out how we should present it to them and how we could introduce that demographic to the world’s first functional cold brew. 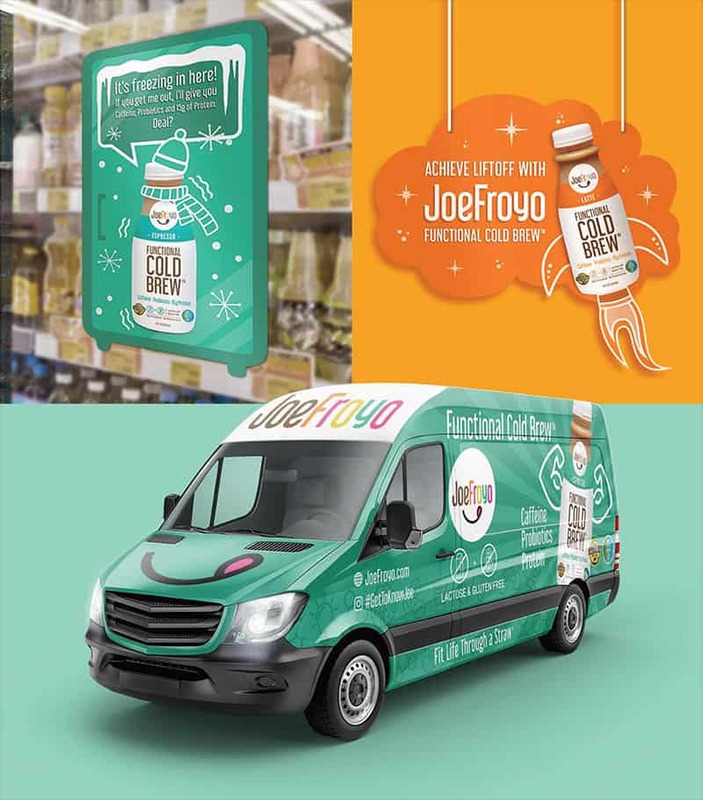 Next, we put the plan into action, creating pitch decks and press releases, in-store displays and social media campaigns, websites and tradeshow booths that introduced JoeFroyo’s delicious drinks. 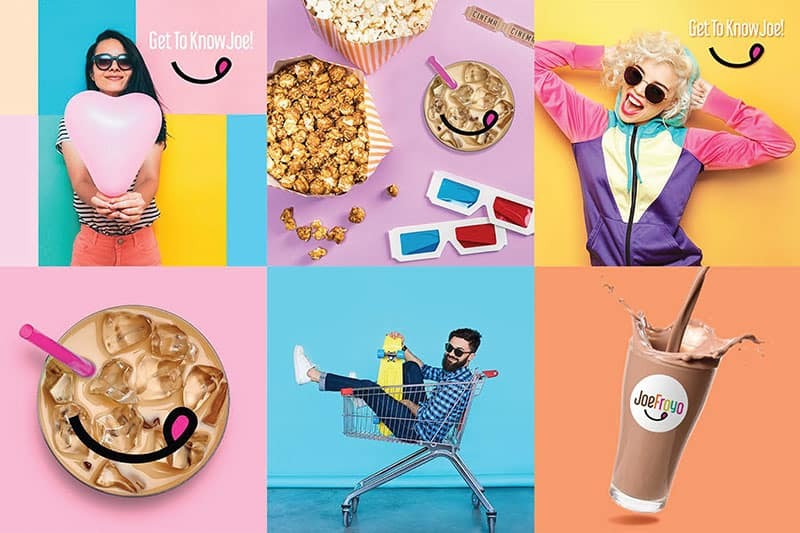 Now, JoeFroyo has everything they need to launch their brand, and they’ve been earning success at industry tradeshows from Los Angeles to Shanghai, while consumer-side demand is building on social media, through carefully targeted marketing. 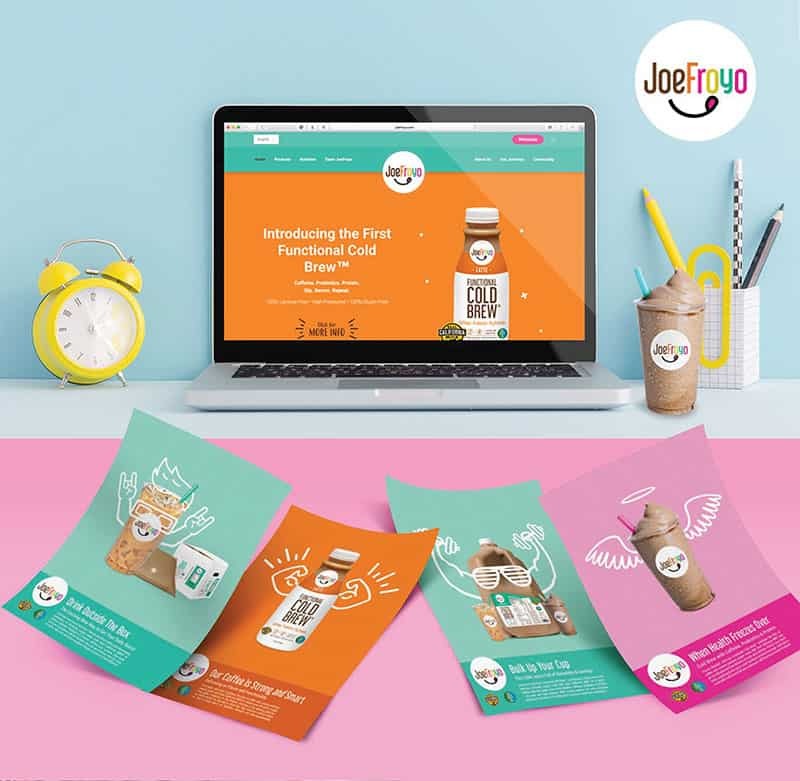 And of course, we’re already hard at work on Phase 2 of JoeFroyo’s product journey, helping them go from a new category-defying beverage, to a household name. Coming soon, to a household near you.